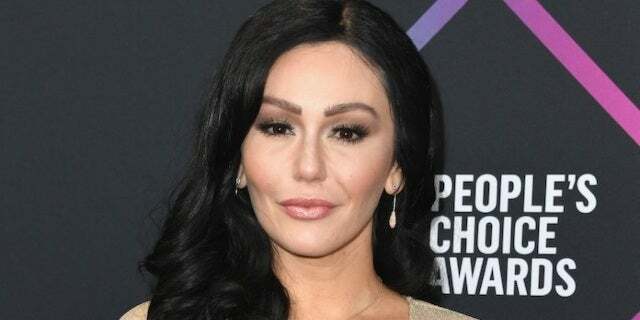 Jenni "JWoww" Farley has not found a new beau yet! Sharing a number of photos of the hunk on Instagram, including two of them together and a shirtless shot, Farley dedicated her "Man Crush Monday" post to Julis . 9659002] Ending her "just friends" post with "Sorry guys," and a shrug emoji, Farley made sure her followers knew her thoughts about the pal, hashtagging, "#hecutetho." The reality personality is in the middle of a divorce from estranged husband Roger Mathews, whom she filed to split legally from in September 2018 after almost three years of marriage, alleging in a blog post that he had been physically abusive – a claim which he has since denied. "Girl quit playin and just go on one date with [Pauly D] just to make us all happy," one fan commented on the photo, while another joked, "If you date Pauly D i can finally get over Britney [Spears] and Justin [Timberlake’s] break up. " When asked about possibly dating his co-star by Us Weekly however, the DJ revealed they had been through too much together to turn romantic at this point. "She's a great girl, she's awesome," he told the outlet last week. "But she is like a sister to us, she's like family. I would not want to cross that line again. "